As May comes to a close, so too does our blog series dedicated to American Stroke Awareness Month. Earlier in this series, we took a closer look at stroke awareness, how to prevent a stroke and paths for stroke rehabilitation. This week, we’ll examine some of the successful clinical applications of various AlterG® products, as well as some resources that can help inform stroke treatment and rehabilitation. According to the National Stroke Association, one in four Americans who have a stroke will have another one within their lifetime. In fact, the risk of another stroke can increase more than 40% within five years of the first event. However, many repeat strokes can be prevented with proper treatment. In the wake of a stroke, a long-term physical therapy (PT) protocol is usually recommended. Although it is not the only part of stroke rehabilitation, PT can help stroke survivors relearn skills and movements, regain strength, and re-establish a normal gait. And it can help lower the risk of repeat stroke. In particular, body-weight supported therapy, or unloading, can be used effectively during stroke rehab. Unloading is the process of reducing body-weight load during exercise to reduce impact. This allows, for example, people with lower body injuries to resume walking and running exercises sooner, and with a reduced risk of reinjury. Unloading is also used for obesity programs, and to help athletes train smarter. 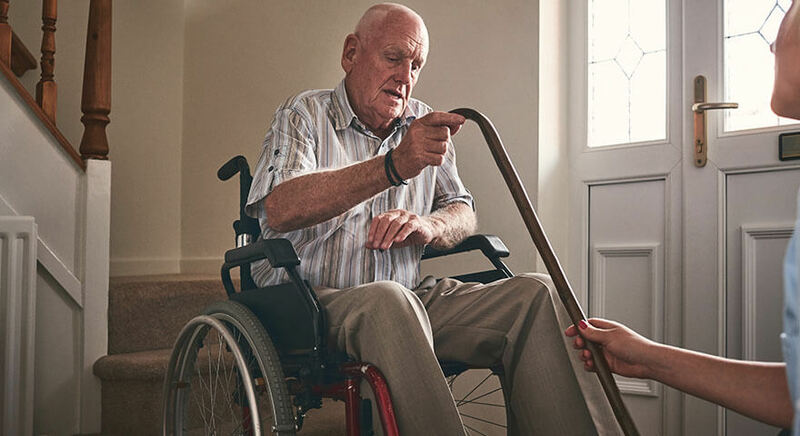 Controlling the impact of body weight can be of particular importance of stroke survivors, as it helps to limit fall risk and improve balance while the patient makes incremental progress. Unloading is the process of reducing body-weight load during exercise to reduce impact. The AlterG® Anti-Gravity Treadmill is based on NASA-developed Differential Air Pressure (DAP) technology. It allows patients to exercise at up to 20% of their body weight. By lowering body-weight impact, the Anti-Gravity Treadmill enables a variety of balance exercises otherwise too risky or painful. This includes heel raises, sidestepping, heal to toe walking, single leg standing, and backward walking. Stride Smart provides real-time gait analytics, measures gravitational load, and provides both PT and patient simplified visual feedback to help monitor and correct gait asymmetry. This technology also enables the PT to monitor pain levels to ensure safe and effective workouts. Video Monitoring is especially useful for helping patients see and understand abnormal gait patterns they may not otherwise feel. Since stroke survivors are often relearning certain walking movements, it is useful for them to actually see themselves walking and self-identify corrections. Another tool that PTs can deploy during stroke rehabilitation is the AlterG® Bionic Leg, a wearable robotic knee orthosis. Recent bionic leg research shows that this tool can be effective in helping patients relearn limb extension, regular gait, and common daily activities like walking up and down stairs. This has proven especially useful in clinical environments during stroke rehabilitation. This is what Stroke Awareness Month is all about.